It’s all-action on the waves this week at Four Seasons Kuda Huraa, with the sixth edition of the Surfing Champions Trophy beginning today. Seven top surfers from around the world will take part in the unique event, with Australian, US and South African riders joined by a Maldivian for the first time in the competition’s history. The previous champion of the Four Season’s domestic champions event, Hussein ‘Iboo’ Areef will join Jamie O’Brien, Travis Logie, Taj Burrow, Bethany Hamilton, and Rob Machado in the event designed to test skill across three disciplines. 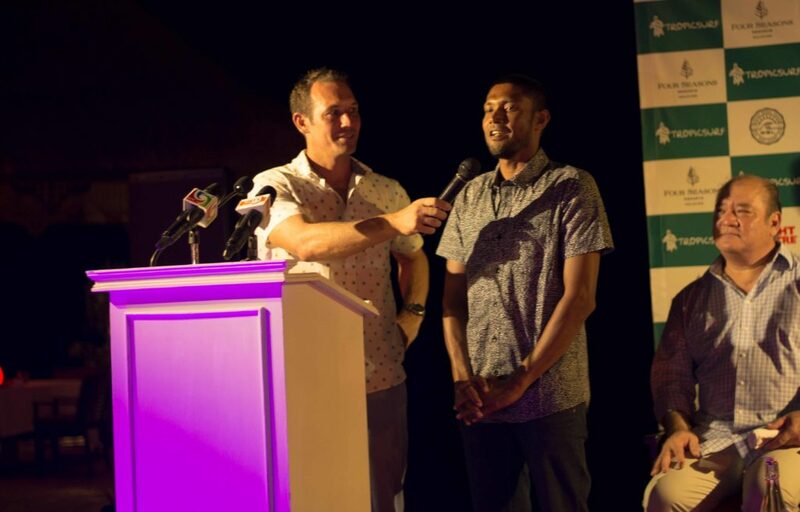 “I feel privileged, happy, and I can’t wait to surf against these guys,” Iboo told gathered guests and media at the official opening event yesterday evening. The event is set to run until Sunday, as the legendary surfers test themselves against each other and the clock in the invitational event for a prize of $25,000. Adding local talent to the competition is set to become a regular feature, with the announcement that the Maldives’ Open championship will be used to select the future Champions Trophy contestants. “Local surfers are really excited to see one of our own go head to head with the world’s best,” said Fuku Areef, president of the Maldives Bodyboarding Association. Also speaking at yesterday’s event, last year’s champion Shane Dorian urged everyone to enjoy the tournament’s unique format. Yesterday’s opening was also attended by environment minister Thoriq Ibrahim and youth and sports minister Iruthisham Adam, who expressed hope that surfing would continue to develop within the country for tourism and youth development. 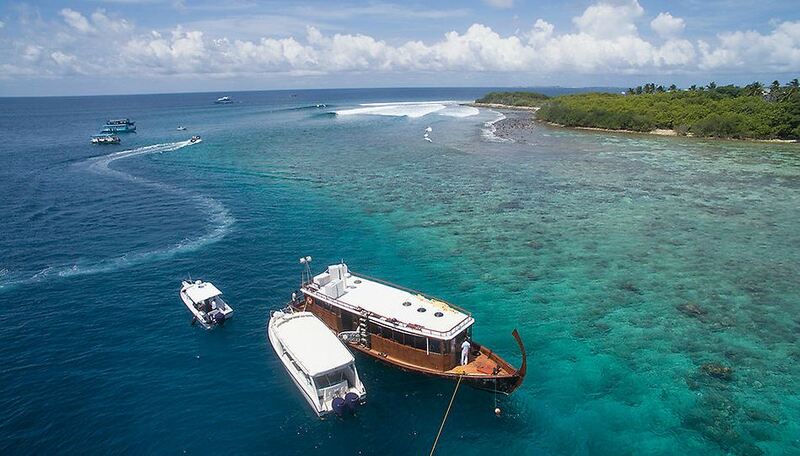 Surf tourism in the Maldives has grown rapidly in recent years, though locals have been using modern boards since the 1970s when Australian Tony ‘Hussein’ Hinde discovered the surf breaks or North Male atoll, on which the Champions Trophy is contested. Iboo himself worked with Hinde – often referred to as the ‘father of modern surfing’ in the Maldives – at the nearby Dhonveli surf resort for 11 years, paying tribute to the man he describes as “like a brother”. Iboo and his opponents will be hosted on the luxury yacht ‘Four Seasons Explorer’ during the surfing, along with guests who are invited to spend time with the surfers and get up close to the action.